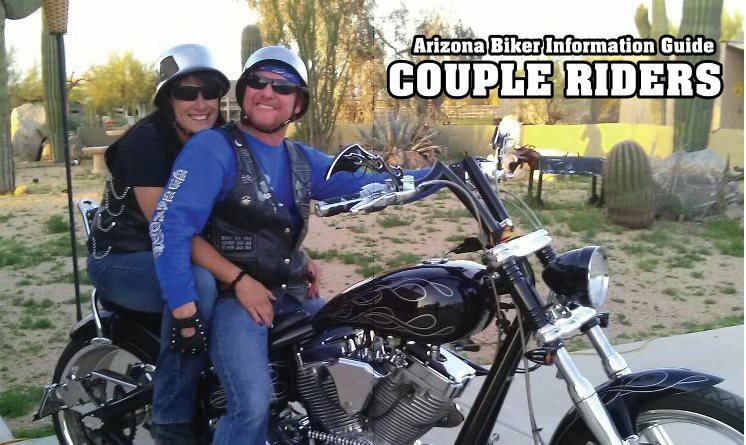 Congratulations to Mike and Jenine, they recently got married on October 24, 2015. 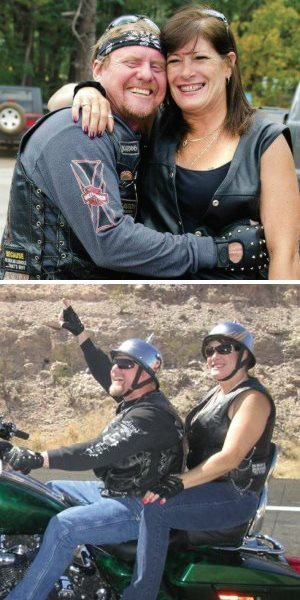 These two love to ride so much they got lost returning home from Sturgis 2014, so 7.5 weeks and 8500 miles later they had visited all the Western States. Mike is from California he moved to Arizona 1986. Jenine is from Michigan and she moved to Arizona 1975. Together they enjoy all 6 grandchildren when they aren’t working or riding. Mike owns Rite Way Flooring and does quality work, just ask Kelly. Theses 2 are some of the kindest and outgoing people. If you get the chance say hi.